Expedia's Neuhausen auf den Fildern vacation packages will help you save cash! Bundling your reservations will give you more cash to splash for your epic adventure. Savings of as much as C$590* are available to smart vacationers who book a package deal on Expedia. You won't need to look around a bunch of different websites for your travel bookings. With more than 400 partner airlines and 321,000 properties worldwide, our international database has got it all. About to jet off on your Neuhausen auf den Fildern vacation? Can't work out what things to add to your travel program? Don't fret — we'll give you some hints. The intimacy and artistry of live theater is difficult to deny. Book your tickets for a performance at Apollo Theater to experience the magic for yourself! There's a fabulous range of things to do in and around this destination. The intimacy and accomplishment of theater is difficult to deny. Grab tickets to a performance at Palladium Theater and experience the magic for yourself! Still have time to spare? If you'd like to know exactly what goes on at Daimler AG, indulge your curiosity by booking a behind-the-scenes tour. Chat to the friendly guide as they lift the curtain to give you a glimpse at the magic that happens on the production line. 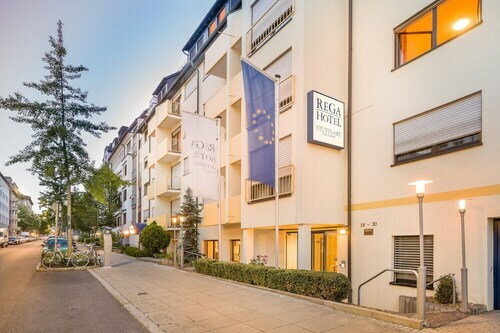 Make your way to Neuhausen auf den Fildern with ease knowing that you have a place to sleep. With 23 properties to pick from, booking a comfy bed for your luxury getaway or cheap vacation will be a breeze! 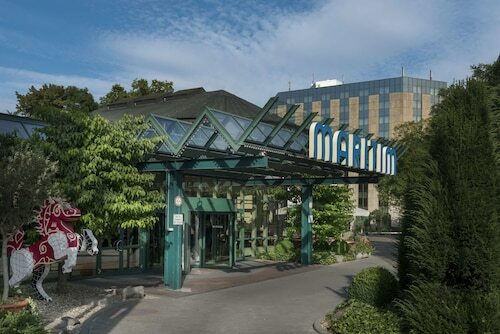 Valet parking, cozy slippers and high-quality furnishings are just a few of the things you can expect to find at the Movenpick Hotel Stuttgart Airport (Flughafenstrasse 50) and the Best Western Premier Hotel Park Consul Stuttgart/Esslingen (Grabbrunnenstrasse 19). Reserve a room now for a taste of the good life! If you'd prefer to spend your hard-earned cash on things such as exciting adventures and wild nights out, why not check out a few of our budget options? 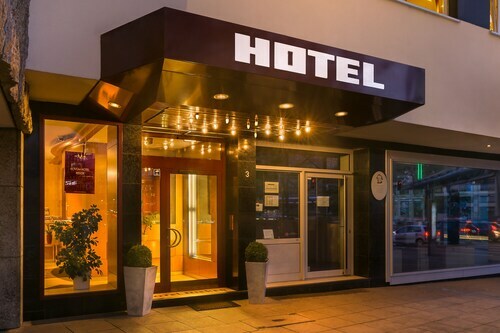 The Quality Hotel Schwanen Stuttgart Airport/Messe (Obere Bachstrasse 1-5) and the ibis Styles Filderstadt Stuttgart Messe (Rainaeckerstrasse 61) are a couple of recommended ones. Stuttgart Airport (STR) is located 4 miles (6 km) west of the middle of Neuhausen auf den Fildern. Find your bags, wave down a cab and get this adventure started! 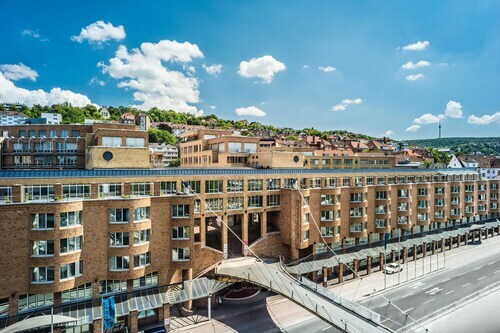 Situated in a rural location, this apartment building is 2.5 mi (4 km) from Technical Academy Esslingen and within 6 mi (10 km) of Stuttgart Trade Fair and University of Hohenheim. SI-Centrum Stuttgart and Palladium Theater are also within 9 mi (15 km). The room was great, friendly staff, great location, and I would recommend to anyone visiting! All I needed was somewhere to sleep for the night - I arrived at 10 pm and was due to leave to catch a train at 7 am the next morning. The room was spacious, comfortable and quiet, and it did me perfectly. Excellent location. Friendly and helpful receptionist.